There is no greater way to burn fat fast than by interval training. Contrary to steady-state workouts, which keep your heart rate at an even level, intervals alternate bouts of high-intensity activity with lower intensity recovery for a shorter, but more intense and effective, workout. Working at a high intensity will get you results in half the time. 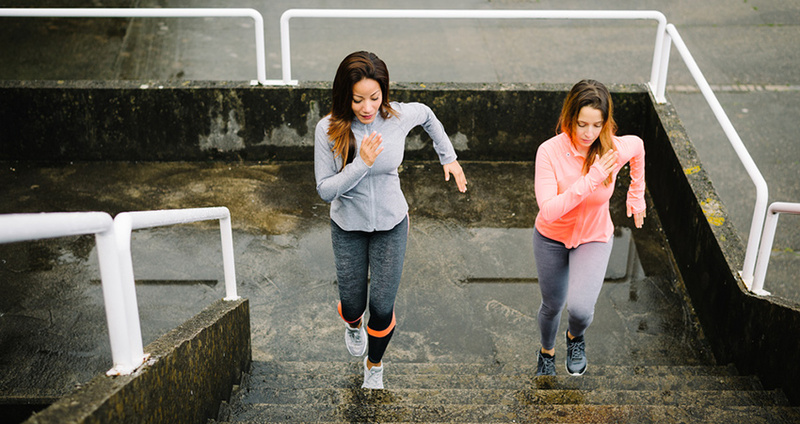 The great thing about interval training is it gives you adequate rest between exercises to gear up for another round of high-intensity activity — talk about effective! The true magic of high-intensity interval training, though, is its ability to keep you burning fat even after you leave the gym. Intense intervals stimulate growth hormone, which puts you in a prime state to build lean mass. The more lean mass you have on your body, the more fat you burn around the clock. In addition, your metabolism remains spiked for hours after an interval workout. The result is an elevated metabolism and quicker recovery time overall. You can create intervals from almost any type of workout by changing the intensity levels, alternating all-out effort with lower-intensity rest periods. Those rest intervals are relative to the work you are doing: in some cases, it will be active revery, like core exercises; in other cases, it will be actual rest. For maximum results, always try to stay moving. The goal is not to fully recover before you start the next round of work to keep that heart rate up. 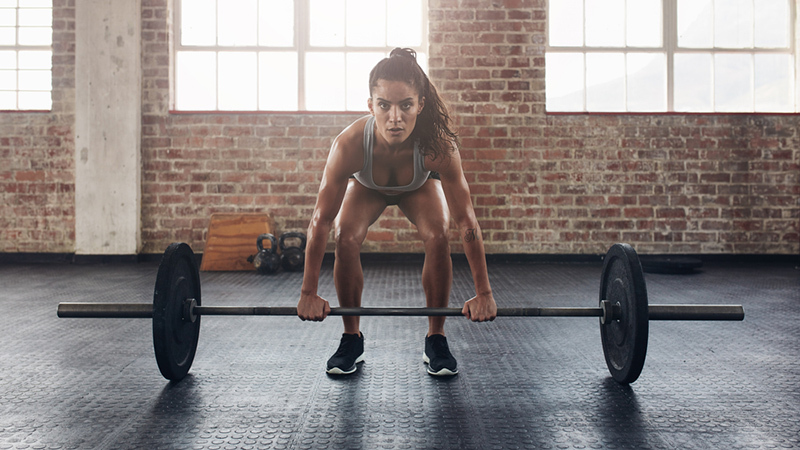 You can stick to strictly cardio intervals if you like, but we recommend throwing strength training into the mix to blast the most fat and get the most out of your workout. Here are seven interval workout ideas to get you started. 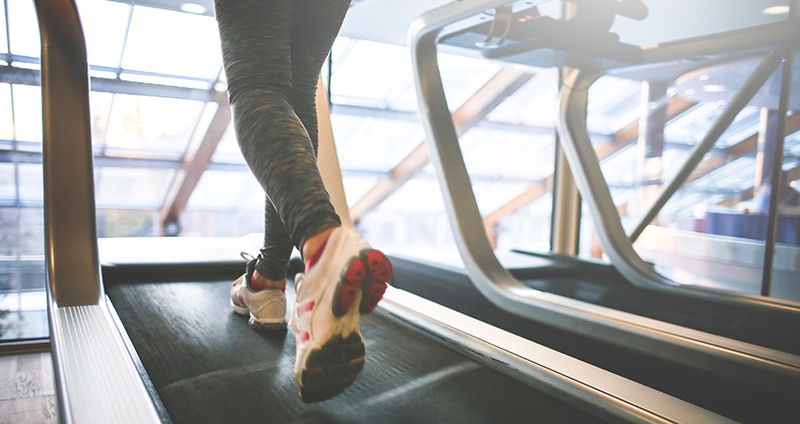 You can use the treadmill for all sorts of intervals, easily transitioning between intervals with the touch of a button. Your recovery interval is up to you: slow down to a jog or walk to recover, but make sure your sprints are all out. Building up your reps, then scaling them back down spikes the intensity of the entire workout. Plus, psychologically, doing fewer and fewer reps toward the end of the circuit makes it feels easier (even though it isn’t). Then repeat, pyramiding back down: 20 reps of each, then 15, then ending with 10 reps and 30 seconds of jump rope for 6 total rounds. Lift heavy, close to your max, on this one but form should always comes first. The high load and compound movements will be enough to send your heart rate sky high, so rest 45 seconds in between each set. You don’t need a lot of fancy moves or equipment to get a killer workout. You don’t even need more than four square feet of space! Hit everything, all at once, in just two moves. Tabata is a type of high-intensity interval training (HIIT) with rounds that last four minutes, with intervals of 20 seconds of “work” and 10 seconds rest. They sound intimidating, but they get results. Try some of our recommended Tabata workouts here.